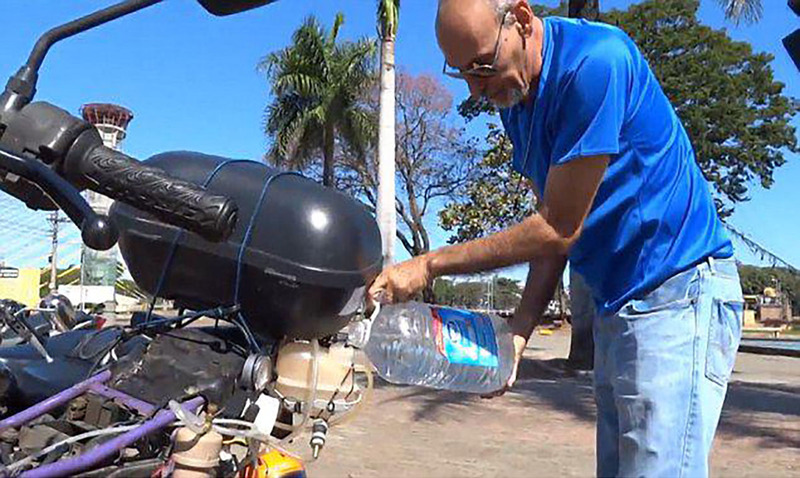 Brazillian engineer, Ricardo Azevedo has developed a hydrogen-powered engine that has an external car battery and runs on water. Could you imagine a world without gasoline? The motorcycle can travel up to 310 miles on just a single liter of water, and over 1,000 miles on a gallon. It works by combining the battery power with a combustion system that helps to generate electricity. “The advantage of this motorcycle, which works with the hydrogen that comes from the water, is that the result that comes out of the exhaust is water vapor. This is different from gasoline, which the result is carbon monoxide,” Azevedo said.